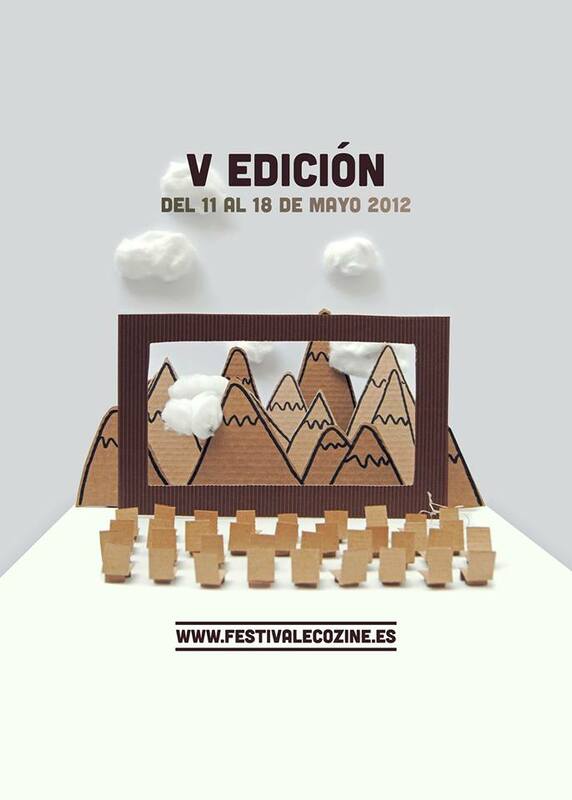 Poster design for the International Festival of Film and Enviroment, Zaragoza 2012 (Spain). The design wanted to represent the values of the festival. This festival is specialized in sustainable and eco-friendly cinemato- graphic projects. Ecozine screens movies related to our planet and its dangerous situation. That´s why the election of materials like paper and cardboard, and elements like a bike were so important. A deliberated naive style allowed to be understood by adults and children. In the design, the film screened is a set of mountains, the nature, because there is not a better scenario that our own planet. Finalist Award ‘V Festival Edition Ecozine’ poster design.